| Get the Digital Intern! The Digital Intern works best when it is fully integrated with your Electronic Medical Record System. If you want the Digital Intern available in your day-to-day workflow, let us know! Your Message - Please include additional contact information for your organization's leadership as appropriate. 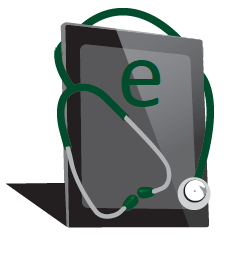 The Digital Intern Educator Apps are designed to help medical professionals in training learn and test their knowledge. These apps give you access to the powerful Digital Intern algorithms on your phone or tablet for a low price. They are designed for educational purposes only! Find the Digital Intern Educator Apps in the App Store. More Educator Apps are on their way. We’re planning a Heparin Infusion Educator and a Blood Use Management Educator to be released soon! If there are other Educator Apps you would like to see please contact us and let us know.